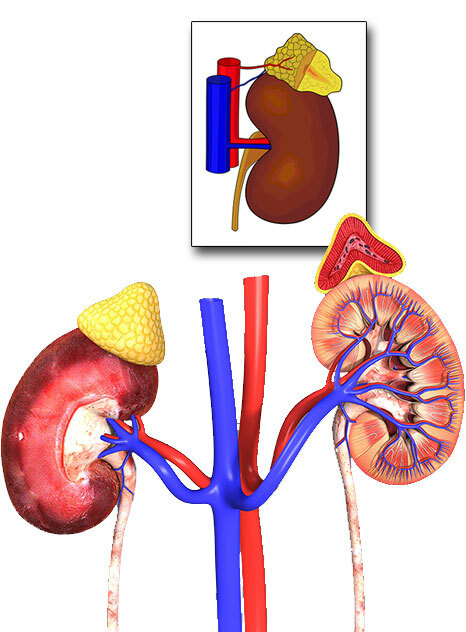 The adrenal glands are two, triangular-shaped organs that measure about 1.5 inches in height and 3 inches in length. They are located on top of each kidney. These are a few of the common symptoms of adrenal fatigue, but there can be many other symptoms associated with this condition. In some cases, a weak thyroid gland may not be the root cause of your thyroid condition. Other parts of your system can cause thyroid issues, commonly it is your adrenal glands that are weak, leading to a thyroid disorder. It’s important to assess the health of your entire body. If your thyroid issue started with your adrenal glands, focusing treatment on the thyroid gland alone will fail to address the cause of your condition. Focusing solely on your thyroid can actually further weaken your adrenal glands. In most cases, adrenal fatigue gradually occurs over time from poor lifestyle habits, chronic stress and lack of adequate nutrition. For example, the regular consumption of sugar, refined foods and lack of sleep can eventually lead to a hormone imbalance, affecting cortisol and insulin levels. Insulin is produced and secreted by your pancreas to balance blood sugar, over time poor eating habits can result in insulin resistance. When your cells become resistant to insulin, other hormones in your body such as estrogen, cortisol and testosterone can become imbalanced. When your hormones are imbalance, your entire endocrine system will struggle. The frequent cortisol secretion caused by chronic stress and/or poor eating habits, overwork your adrenal glands, consequently resulting in adrenal fatigue. Adrenal fatigue can also develop from emotional or physical trauma. For example, it could be triggered by a death in the family or a physical injury. Any circumstance that causes stress for a prolonged period of time, will take a toll on your adrenal glands. How Does A Thyroid Condition Arise From Adrenal Fatigue? Weakened adrenals send the body into a catabolic state, meaning your body starts to break down cells. Since your thyroid gland handles the metabolic process of your body, it is triggered to slow down in order to delay this process. This slowing of your thyroid can lead to a hypothyroid disorder and chronic slowing of your metabolism. However, sometimes your thyroid works harder to keep up and over taxes your adrenals. An excessive adrenal load that goes untreated can eventually lead to adrenal fatigue and thyroid imbalance. 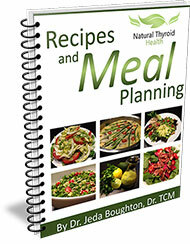 Adrenal issues do not have to be severe for you to affect your thyroid gland. When diagnosing adrenal fatigue, your symptoms are the best clue. However, occasionally I use a 4 point cortisol, DHEA and testosterone saliva test for the patients in my practice. With this test, saliva samples are used to measure cortisol levels based on your circadian pattern. The results of this test along with your symptoms are used to determine if you suffer from adrenal fatigue. When treating adrenal fatigue, the aim is to identify the cause and support both your adrenals and thyroid gland. If chronic stress or poor dietary habits are the cause, start a stress management regime, take appropriate nutritional supplements and moderate your food habits. 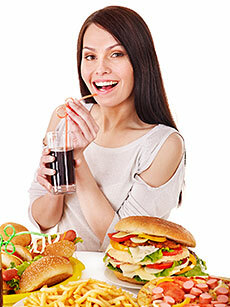 Several different factors are at play, herbs and nutritional supplements alone won’t cure you. A combined approach should be implemented, for an optimal outcome, by working with a competent holistic physician who specializes in endocrine disorders. Adrenal fatigue is a debilitating disorder that can make you feel a lot worse when it accompanies a thyroid problem. The good news is that adrenal fatigue often responds well to a natural treatment protocol. 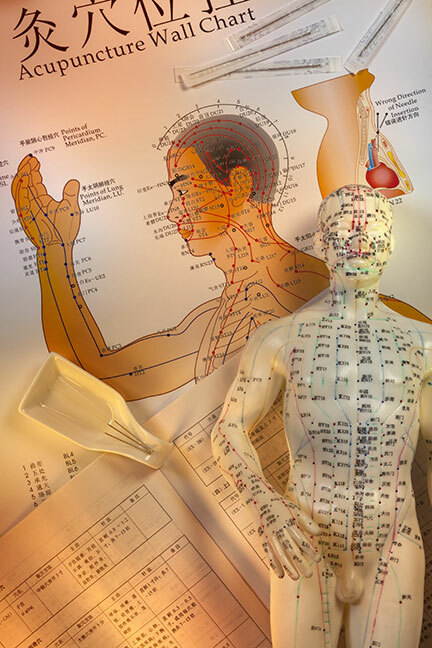 If you think you might be suffering from adrenal fatigue, consider talking to a Chinese medicine doctor who specializes in endocrine disorders. They can put you on a proper natural treatment protocol to help balance your hormones and support your overall health. Your HPA Axis and How it Works.